As the 2018 season creeps near, the St. Louis Cardinals are looking to place two more of their great players into the Cardinals Hall of Fame. They have made the nominations and now they look for the fans to vote two players in. Before we take a look at the HOF list let’s talk a second about the upcoming season. The Cardinals are currently 20/1 to win the entire thing according to this article from Sports Betting Dime. They have a nice core of players returning along with some new faces that are expected to make an impact. Can they compete with the Cubs and Brewers in the Central? That’s the question! Ok, now back to the Hall of Fame talk. Here is a short synopsis of each eligible player and at the bottom is a link to vote for two that you believe belongs in the Cardinals Hall of Fame. Vince Coleman– Coleman was a speedster from the beginning of his career. In 1985, he garnered Rookie of the Year honors after stealing 110 bases. In his six years in a Cardinals uniform, he led the National League in stolen bases. 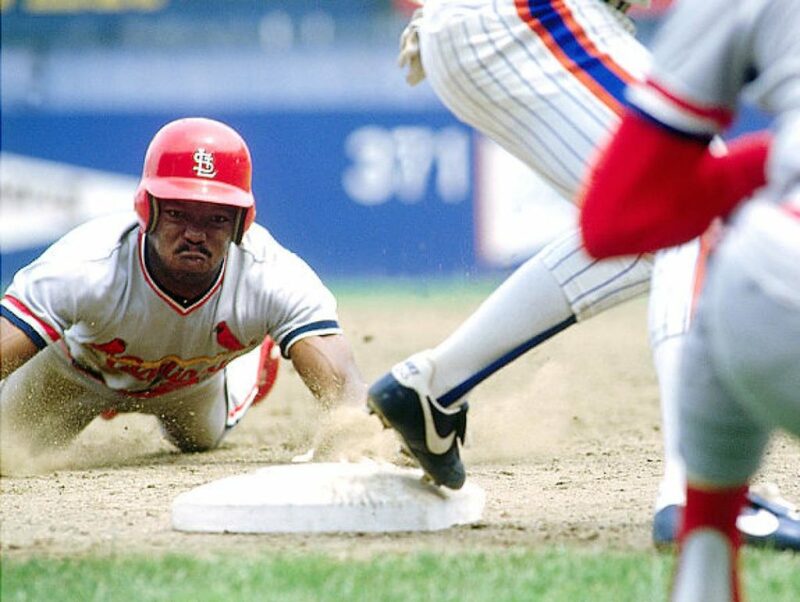 He was named to the All-Star team two times and is second in stolen bases behind Lou Brock in franchise steals. Keith Hernandez– Hernandez was spectacular with the glove as he won it six consecutive seasons from 1978-1983 while in a Cardinals uniform. In 1979, he batted .344 with 11 homers and 105 runs batted in to garner co-MVP of the league. In the World Series season of 1982, he drove in 94 runs while batting.299. Jason Isringhausen- “Izzy“, as he was known in St. Louis was in a Cardinals uniform for seven years and in that time the team won the Central Division four times and once (2006) they won the World Series. He had 47 saves in 2004 and was an All-Star in 2005. He holds the Cardinals record for 217 saves and he did that in 401 appearances. Ray Lankford– Lankford was a Cardinals player for 13 seasons and was a combination of power and speed for them. From 1995-1998 he finished as a 20-20 man (home runs and stolen bases) and is the only Cardinal in history to amass 200 home runs and 200 stolen bases. He was an All-Star in 1997 and is in the Top-10 in several franchise categories. Scott Rolen– Rolen was a dominant third baseman with the Cardinals during his five seasons. He won a Gold Glove in 2002,2003,2004 and 2006. He was a dangerous batter and won the Silver Slugger award once. He was named to the All-Star team four times while wearing the Cardinals uniform and used his bat to finish in St, Louis with a .314 batting average along with 34 homers and 124 runs batted in. Lee Smith– Many feared seeing Lee Smith come into the game. He was an imposing figure that walked very slowly to the mound when called upon. As a Cardinals reliever, he saved 43 or more saves three times and was selected to the All-Star team three times. He held the team club save record with 160 until 2007. John Tudor- This lefty hurler pitched four seasons for the Cardinals in which he amassed as 2.52 ERA in 125 starts and a .705 winning percentage. His best season was in 1985 as he led the Cardinals with 21 wins along with a 1.93 ERA which included10 complete shutouts. He finished second in the Cy Young voting that year and led the Cardinals to the World Series. In each season he had the Birds on the Bat uniform he won at least 10 games for St. Louis. 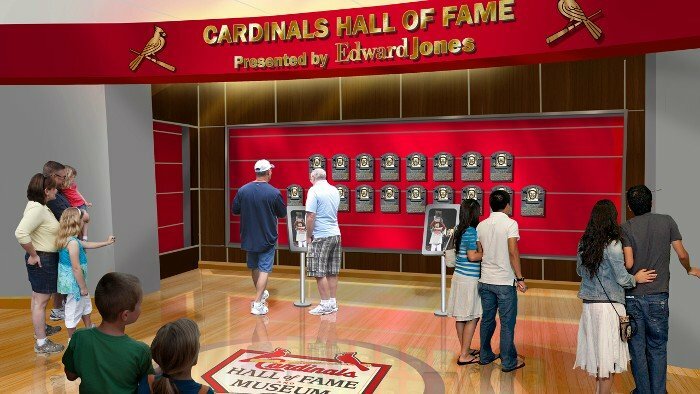 If you haven’t been to the Cardinals Hall of Fame you are missing out as they have over 15,000 total artifacts and 80,000 photographs. the Plaque Gallery, a Sportsman’s Park Room, a Busch Stadium II Room, a Busch Stadium III Room, a Championship Gallery, a Uniform Timeline, a Look at the Current Cardinals, a St. Louis Browns Display, a St. Louis Stars Display, and a Temporary Exhibit Room that has included displays on Stan Musial and a history of the Cardinals Farm System. The 2018 Cardinals Hall of Fame Induction Ceremony on August 18th at Ballpark Village at 3pm. Here is a link to vote.